It's much easier to give a child medicine if you are calm and confident. While some children may find it difficult to take medicine at first, most will get the hang of it with practice. 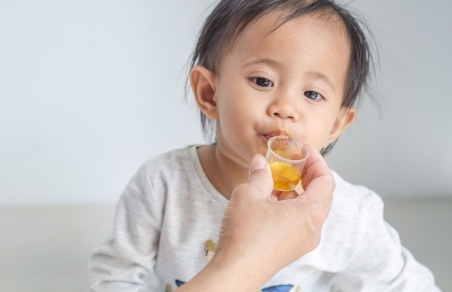 If your child is taking medicine, make sure that you measure the dose carefully with a syringe or small medicine cup. Children come in all shapes and sizes and need to have an exact dose according to their weight and age. This is so that the medicine works and does not do any harm. If you think your child is not taking full doses of their medicine, talk to your GP. If you think your child may have taken too much medicine, get medical help immediately. Take your child to your GP, an after-hours surgery, or the hospital Emergency Department. Take the bottle of medicine with you to give the medical team as much information as possible. The links below provide tips on easy ways to get your child to take their medicine correctly. PDFs of this advice are also available in Māori, Chinese, Korean, Samoan, Somali, Spanish, Thai, Tongan and Vietnamese. It's best to print them out to read them. Factsheet about medicines and tips for dealing with medicines.